It's a very simple but elegant (2 in. x 3.5 in.) 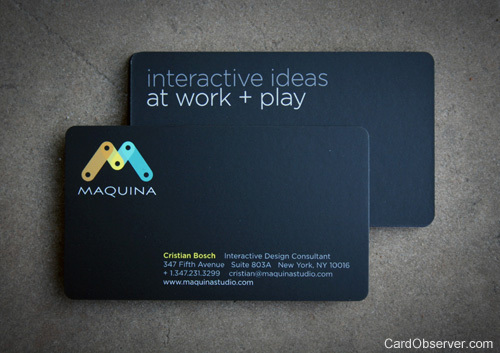 business card that lays everything out in a non obtrusive way. On top of the dark background color the logo jumps right out, and the message in the back side really draws attention. It was printed digitally on 12pt C2S stock with a special satin coating.